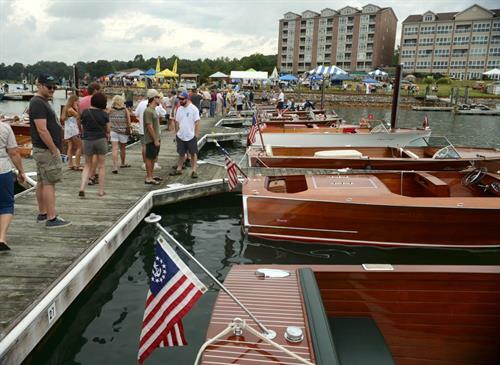 The 26th Annual Antique and Classic Boat Show on beautiful Smith Mountain Lake at Mariners Landing Resort, promises to be a fun-filled opportunity to cruise the lake, display your boat, and chat with other antique boat enthusiasts. The Show's venue, at The Pointe at Mariners Landing, offers one of the most scenic vistas on Smith Mountain Lake. 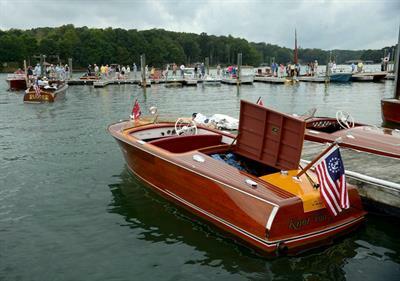 The Antique and Classic Boat Show at stunning Smith Mountain Lake is an opportunity to cruise the lake and display your classic or antique boat. 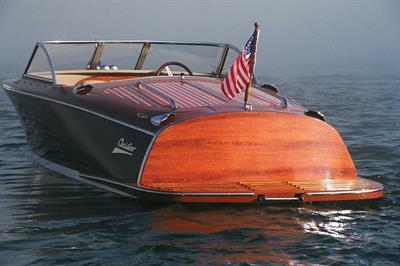 It will also present you with the opportunity to converse with other antique and classic boat owners and enthusiasts. The Pointe at Mariners Landing offers one of the most scenic panoramas on Smith Mountain Lake. Come share enjoy the outstanding food and interesting vendors. The Mariners Landing Resort at Smith Mountain Lake offers the finest in first class accommodation, ambience, dining and docking making this one of the best shows ever. 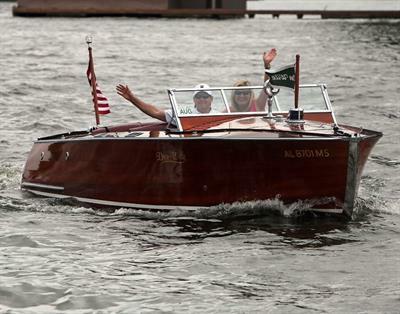 Now is the time to arrange to attend and enjoy the classic and antique boats with the other enthusiasts. Mariners Landing will be offering special rates for lodging. To take advantage of these special rates indicate that you are with the Smith Mountain Lake Antique Boat Club. Contact the Mariners Landing reservation desk at 540-297-4900. Additional details of the special lodging rates are posted on www.woodenboats.net website. ~ On Friday, cruise beautiful Smith Mountain Lake and enjoy a catered buffet lunch at The Pointe with other attending antique boaters. Later in the day at the evening social take time to share your antique boating anecdotes and stories with other show participants (must register to particpate on Friday). ~ Saturday, is show day and time share your boat for the visiting public. There will be souvenir shirts, antique and classic boat merchandise along with other items on sale at the ship's store. Kids, can participate in the “decorate and sail your boat” activity. The evening affords a delicious banquet dinner in the Blackwater Room at Mariner’s Landing Resort along with an awards ceremony. ~ Sunday, you can enjoy the Lake and visit with friends. For antique boat or vendor contract, please click here!